The Government has set out the full details of how it plans to implement the core aspects of the Resources and Waste Strategy by releasing a string of consultations in February. On household waste measures, the department issued four consultations covering Deposit Return Schemes; Extended Producer Responsibility (EPR); Consistency; and a tax on plastic packaging not having a 30% minimum recycled content. Each consultation will run for 12 weeks (from 18 February) and gained Cabinet approval the week before being released. For EPR, reform of the PRN system was at the focus of the consultation, with Defra pledging to implement ‘full cost recovery’, which means producers pay for all cost of dealing with the products placed on the market. The consultation will seek to clarify the role in which local authorities will play in this. 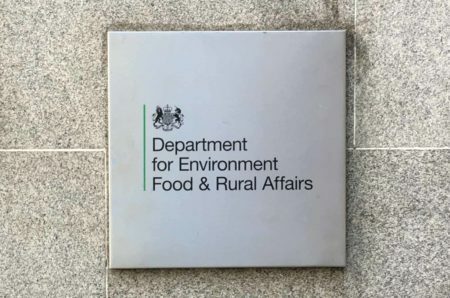 Elsewhere, a consultation on collection consistency was also released, which will look to see all councils collect the same materials with a graphic from Defra suggesting that aluminium foil, and small ‘fromage frais’ pots are likely to be the sort of the things the public want collected. Other issues such as garden waste collections, which many councils have chosen to charge for, and food waste collections are also being discussed. Meanwhile, a separate consultation was launched regarding a tax on plastic packaging that does not include at least 30% of recycled content. Those in favour of this suggest that placing minimum content laws creates a demand for recycled plastic, however some have called for it to go further. Defra notes that “The Government is now seeking views on proposals for how the tax will work. For example, which packaging should be in scope of the tax, how to assess recycled content, and which businesses will be liable for the tax. The Government is open to views on the best design options.” The European Parliament is considering similar legislation with a 35% limit, though this is still to be approved by parliament representatives.